To prepare for your consultation, follow the tips below. Proof of other income, such as retirement benefits, Social Security benefits, disability payments, etc. Bankruptcy affects debt in different ways. If your debt is unsecured, then bankruptcy will often wipe it out entirely. However, if you have secured debt, then you can still lose the asset that acts as collateral even if you go through bankruptcy. For these reasons, a lawyer needs to know important details about what debt you want to eliminate. A consultation provides an excellent opportunity to ask the attorney questions. Hopefully, you ask questions you can’t find answers to online. Lawyers are busy, so write out your questions so you don’t forget them. What other information a lawyer needs to handle your case. How long the bankruptcy process takes. There are different bankruptcies, and the duration varies. How the lawyer communicates and who you will speak with if you have a question. How much debt the lawyer expects you can eliminate in the bankruptcy. Include any questions that you want an answer to. The key is to feel comfortable with the person you hire, so listen carefully to the lawyer’s answers. If he or she talks over your head or doesn’t have a good handle on the law, then you might want to schedule a consultation with a different attorney. If debt is getting you down, realize that you do have options. Federal bankruptcy law allows indebted consumers to wipe out or reorganize their debts by using bankruptcy. 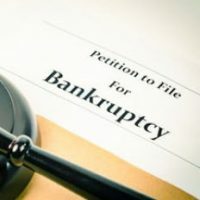 The Plantation bankruptcy attorneys at Nowack & Olson have helped hundreds of people dig out from under their debts so they can face the future with a clean financial slate. Contact us today. You can schedule your free consultation by calling 888-813-4737.